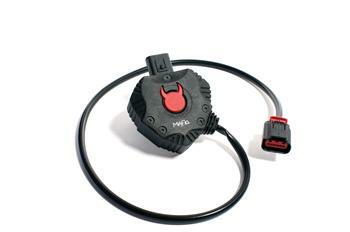 The DiabloSport MAFia provides real world plug and play control of your vehicles “Mass Air Meter” (MAF). MAFia allows you to precisely control and regulate MAF sensor voltage eliminating the need for prefabricated custom MAF Sensors. The DiabloSport MAFia interface and connector accessories are available for any MAF upgrade, relocation, or wiring loom repairs. Featuring eight custom settings for all hoursepower ranges, from street car calibrations to 800 plus horsepower race cars. The MAFia is supported by several tuning software programs such as the CMR custom tuning system. 12” or 24” extension plus Extender and Connector accessories help relocate MAF or replace older less efficient MAF sensors.